A 44,000 deadweight tonnage shop ran aground in Mauritius last Thursday night after the crew got into a fight in the engine room. 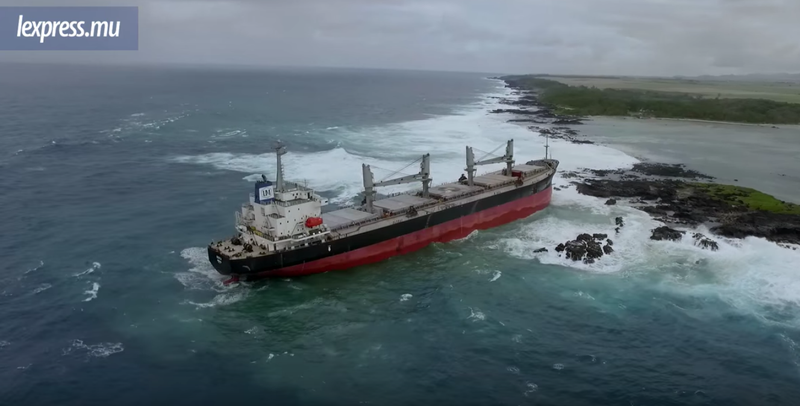 Local media reports that Liberian-flagged MV Benita was sailing from India to Durban, South Africa when a fight erupted in the engine room Thursday night, resulting in the ship drifting into land along the southeast coast of Mauritius. Details are still a bit sketchy, but the melee was reportedly started by the Chief Engineer, who was arrested by the National Coast Guard after locking himself in the engine room of the vessel. Another engineer had to be flown to a hospital following the fight. The MV Benita is a 181 meter-long ship, carrying 185 tons of fuel and diesel, some of which appears to be leaking out into the water, Island Crisis News reports. The ship is still stuck at the moment.